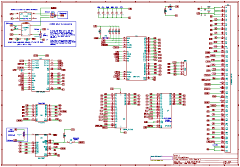 In due course, i.e., once the relevant board has been prototyped and tested, this page will host the KiCad schematics, other project files, firmware source and object code. The CAD files and custom firmware available on this page have been used to produce subsystems for MTXPlus+, a modular Z80 computer based on the design of the original Memotech MTX512. 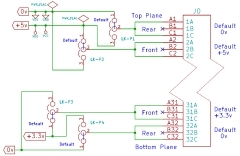 The design files available for download have been used to build the associated modules which has been tested and confirmed to work as per the design. However, there may be errors in the material available for download and your results may differ from mine. If you identify any errors in the design or firmware and/or make any modifications or enhancements to the design, please let me have a copy of the information and any changed or added files. All Information presented on this website, www.primrosebank.net, (the website) is provided by Dave Stevenson "as is" and carries no warranties, expressed or implied, of any kind. Dave Stevenson is not responsible for, and expressly disclaims all liability for, damages of any kind arising out of use, reference to, or reliance on any information contained within the website or made available for download. Whilst the information contained within the MTXPlus+ pages of the website site are presented in good faith, no guarantee is given that the information provided on these pages is correct, complete, and up-to-date. A number of articles on the website contain technical data and practical guidance which may be of use in testing and maintaining various items of vintage computer and electronics hardware as well as constructing various electronics projects such as MTXPlus+. Such articles are not intended to cover all aspects of the tasks involved and may omit essential information, including necessary safety precautions. Performance of the tasks described may risk damage to equipment and/or people. The reader is responsible for ensuring that he/she is capable of performing the tasks described and well as assessing the inherent risks involved and taking appropriate measures to mitigate such risks. Dave Stevenson expressly disclaims all liability for damages to equipment or injury of any kind arising out of use of such technical data and guidance. You are hereby granted permission to download data and software from the website for your own personal use. Redistribution of any content from the website without written authorisation from Dave Stevenson is expressly forbidden. You are also expressly forbidden from offering for sale any material obtained from the website. There is not much available at the moment, but I have made a start by releasing the system bus drawing and the power board in KiCad format. Each of the boards is a separate KiCad project file and uses one or more custom components that I have either created myself or downloaded as part of additional KiCad component libraries. 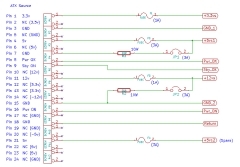 The custom components are either ones that are not included in the libraries distributed with KiCad, or have been edited to correct errors or better suit my schematic layouts. All of the additional components are included in the Dave2 library file, this file has evolved as I have made more & more use of KiCad. As a result, it is a work in progress and should really be tidied up at some point, until (if) I get round to cleaning it up, you can either use the library "as-is" or you may want to extract and/or edit the components for use in your own libraries.